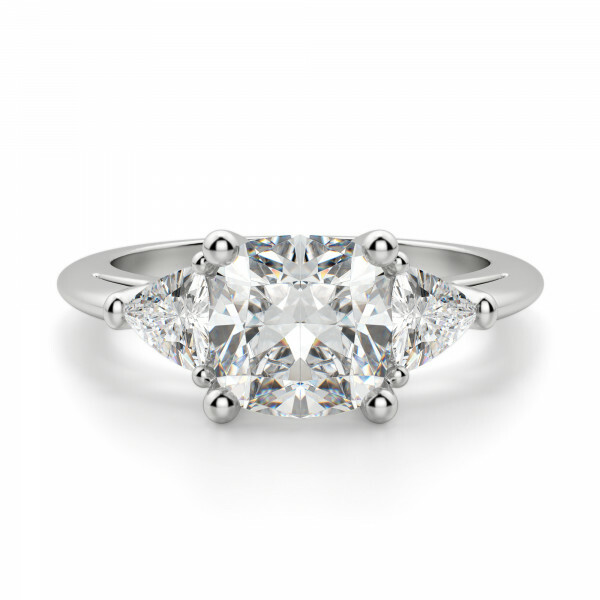 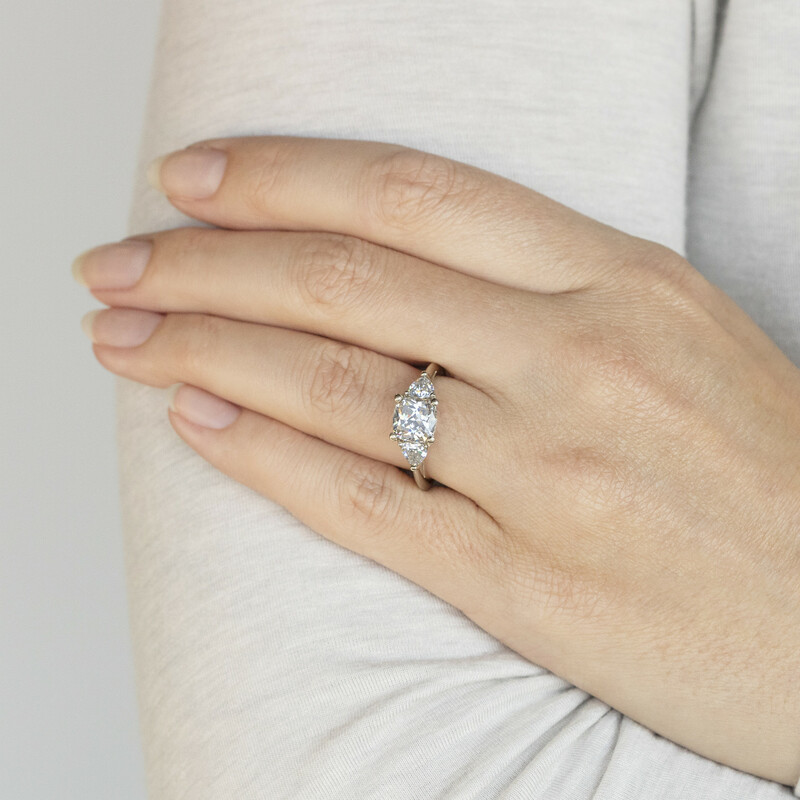 This twist on a classic three stone design feels modern yet true to its traditional inspiration. The Cushion cut Nexus Diamond alternative is flanked by two Trillion cut side stones. 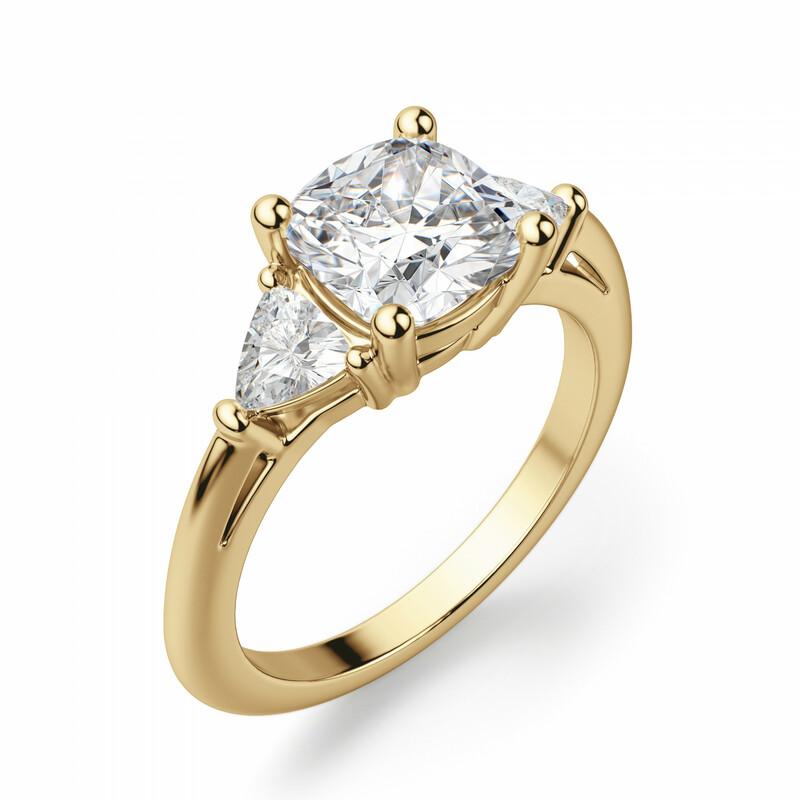 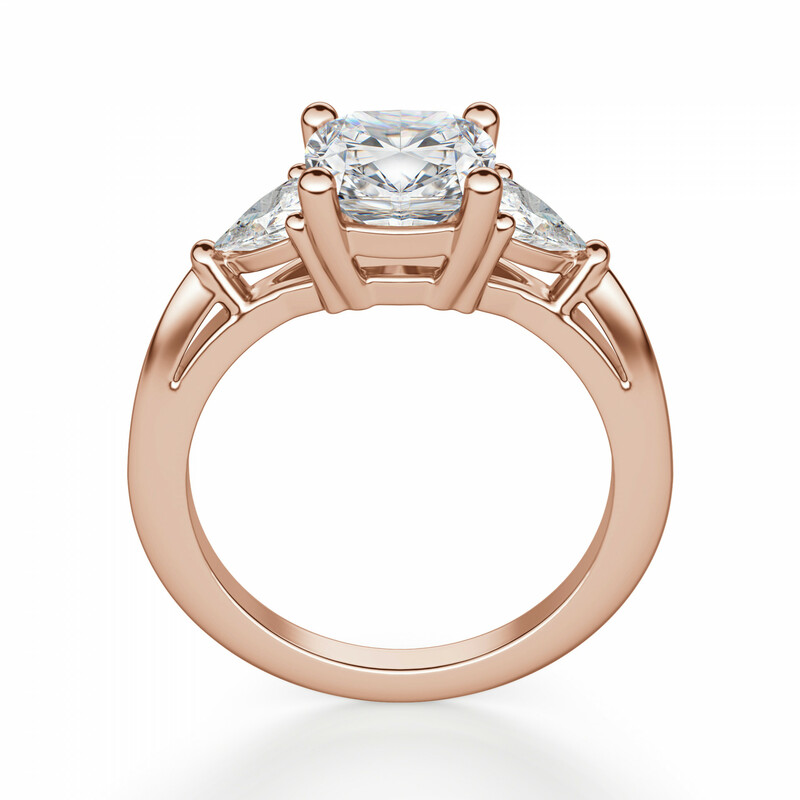 The curved edges of the Trillion stones echo the lines of the Cushion cut, making the design visually balanced. This ring features a lower basket settings and subtle cathedral shoulders for comfort. 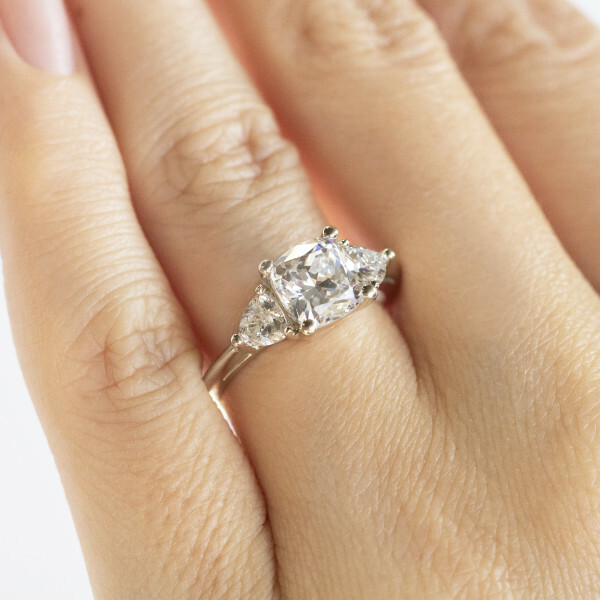 From afar, the silhouette may appear similar to an East-West style, but on closer inspection, the three stones are distinct. 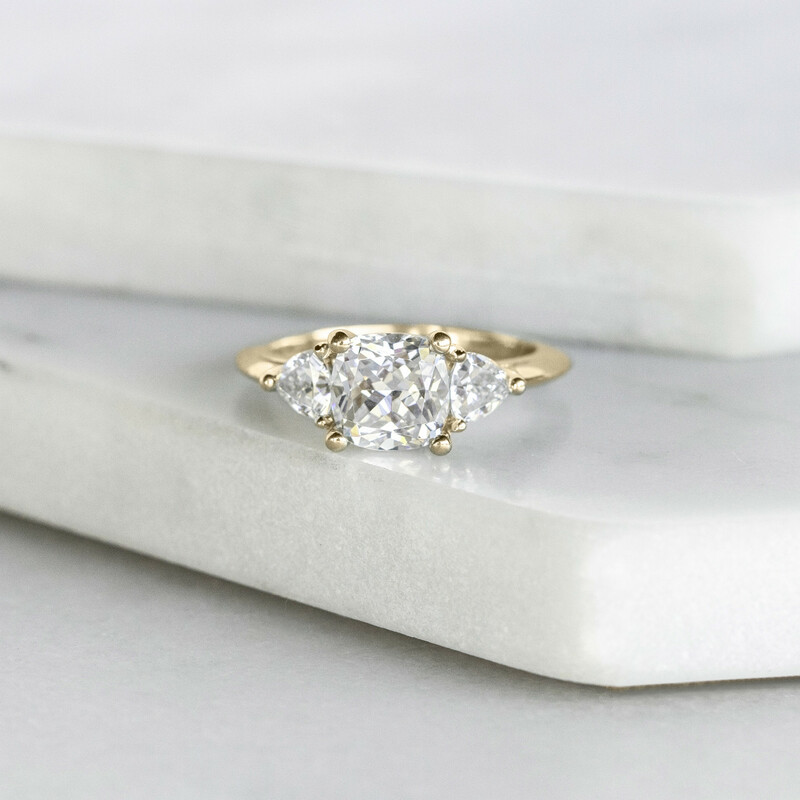 It is a piece that draws inspiration from the past, honors the present trends, yet has simplicity to remain beautiful into the future.